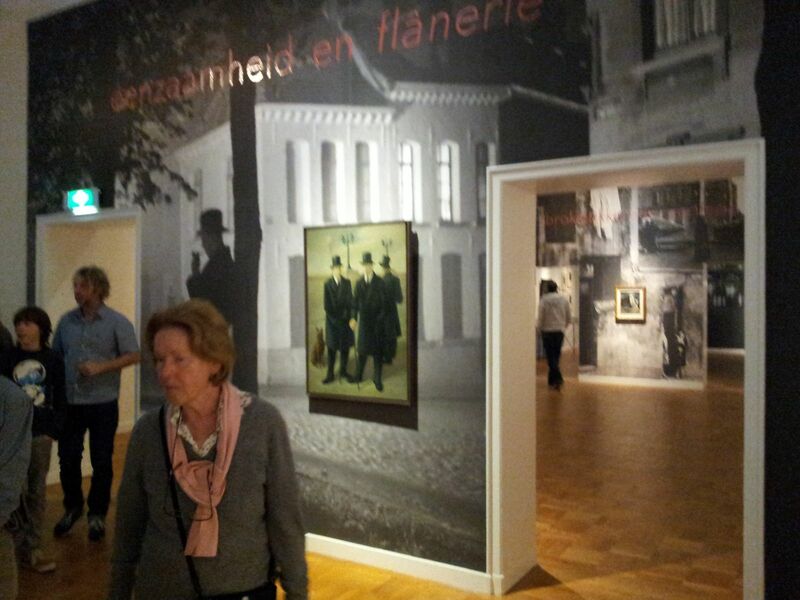 From 20 October 2013 to 23 February 2014, the Museum voor Moderne Kunst Arnhem (MMKA) exhibits The Melancholic Metropolis: Cityscapes between Magic and Realism, 1925-1950. Magic realist painting is displayed alongside photography and film of the same era that visualizes the metropolis as a place of stillness, loneliness, and melancholy. 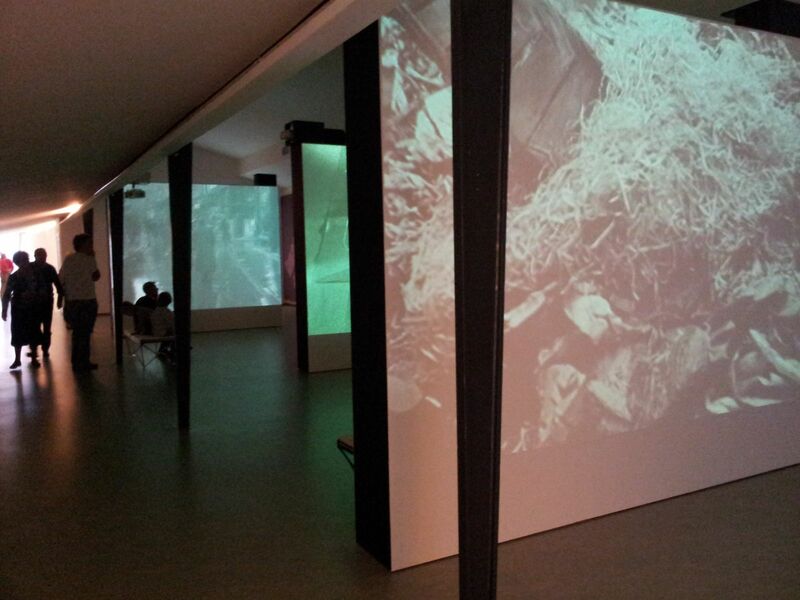 Ivens’s film Rain is on exhibit permanently, alongside other avant-garde films. Also photos of Germaine Krull, Ivens’wife at that time, who inspired him to film cranes and bridges, are presented. During the first half of the twentieth century, philosophers, sociologists, writers, artists, photographers, and filmmakers presented the metropolis as the locus of modernity – the place where capitalism, industrialization, technological progress, and mass consumption were most clearly manifested. In addition, they saw the modern metropolis as an environment that gave rise to new visual experiences, which make appealing themes for the visual arts: crowds, traffic, billboards, and skyscrapers. While many artists celebrated this hectic urban condition, magic realists and other artists represented in this exhibition tried to give shape to the fantasies, fears, and alienation which went hand in hand with living in a large modern city – a place characterized by disconnection and anonymity. The results are often mysterious and sometimes threatening images. Cityscapes by Dutch magic realists such as Carel Willink, Joop Moesman and Pyke Koch are accompanied by urban landscapes by painters who show an affinity with them, such as Mario Sironi and surrealists like Paul Delvaux. The exhibition also features works by artists of the German neue Sachlichkeit (New Objectivity) movement, including Max Radler, Oskar Nerlinger and Karl Völker. In addition, the exhibition also includes contemporaneous cityscapes created in the context of French and Belgian photography and cinema. The exhibition thus situates magic realism in a European context. Charged with mystery, magic realist artworks are marked by a “photographic effect” due to the smooth handling of paint and a remarkable play of light. French and Belgian 1930s urban photographs evoke similar impressions of urban alienation and melancholy. Examples include Brassaï’s photography book Paris de nuit (1933) and various photographs, photo-montages, and photo-books by Eugène Atget, Jacques-André Boiffard, Eli Lotar, Germaine Krull, Marcel Lefrancq, Pierre Boucher, and others. Magic realist cityscapes also show some affinity with city images in films of the era. In particular, The Melancholy Metropolis looks at two film phenomena. The city symphony, an important film genre in the Inter-War period, often highlights the city as a mysterious and melancholy space. The exhibition features examples such as A propos de Nice (Jean Vigo, 1929), Regen (Joris Ivens, 1929) and Impressionen vom alten Marseiller Hafen (Vieux port) (Laszlo Moholy-Nagy, 1929). In addition, urban spaces play an important role in French poetic realism of the 1930s. Films by directors such as Jean Renoir, Marcel Carné and Julien Duvivier often favored the motif of a lonely character wandering through the empty city at night or in the early morning hours. Carné’s images of the city, in particular, demonstrate a strong similarity with those in the paintings, drawings, and photographs in the exhibition. 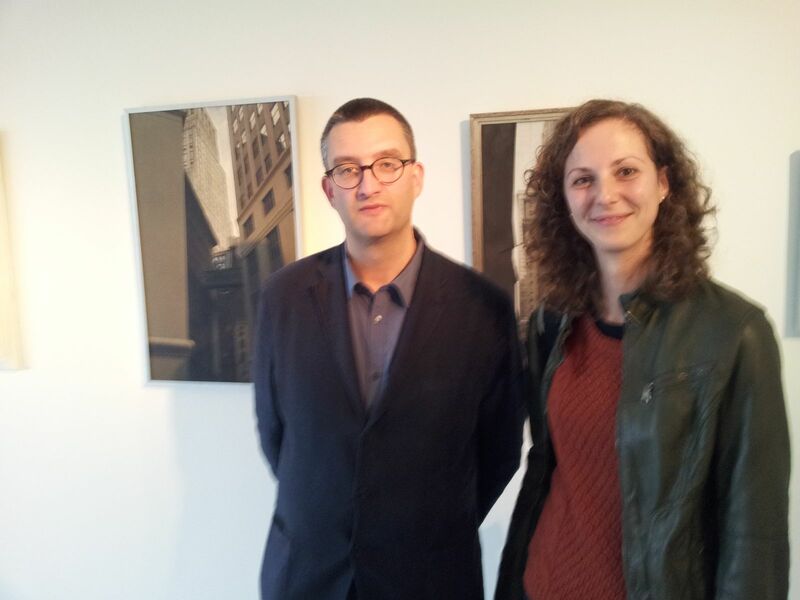 The exhibition is curated by Steven Jacobs, an art historian who currently teaches at the Department of Art-, Music- and Theater Studies at Ghent University in Belgium. His publications includeThe Wrong House: The Architecture of Alfred Hitchcock (010 Publishers, Rotterdam, 2007), Beyond the Picturesque (SMAK, Ghent, 2009, with Frank Maes), Framing Pictures: Film and the Visual Arts (Edinburgh University Press, 2011), and Art & Cinema: Belgian Art Documentaries (Cinematek, Brussels, 2013). With special thanks to: Goethe Institute, The Netherlands; The German Embassy in The Hague.